Destructive testing is an essential part of ensuring the integrity and performance of the welds used to manufacture everything from cars, planes, and ships to bridges, buildings, and pipelines. 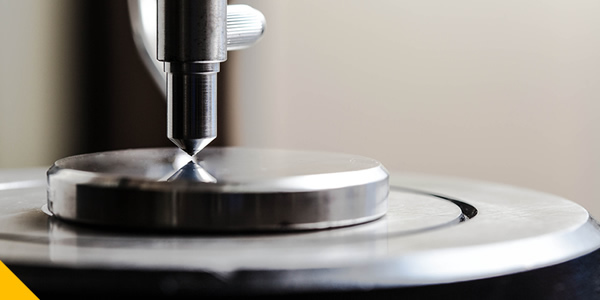 Destructive testing methods are also used for applications such as welding procedure qualification, welder performance qualification testing, and material verification. This engaging online course describes the material properties of metals that can be evaluated with destructive testing, as well as the principles and performance of the most common destructive tests used in the welding industry. Click on the Course Modules tab below to see a list of the topics covered. Approximately 10 hours of instruction divided into 17 easily manageable modules. Participants can access the course 24/7 from any computer with an internet connection. Pause, advance, and rewind navigation features give users complete control over their learning experience. Audio narration, animated graphics and video footage make even the most complex topics engaging and easy-to-understand. Interactive elements, practice problems, and quizzes facilitate the mastery of concepts and measure content retention. Course content was developed by industry experts and AWS learning professionals. Users can speak to an AWS instructor during the optional weekly question and answer teleconference. AWS customer support Monday through Friday 7:30 AM to 5:00 PM EST. How much do I need to know before taking this course? No previous knowledge is required. This course presents destructive testing concepts in clear, easy-to-understand language and easily digestible chunks of information. We start at the beginning, explain every term and topic, and provide practice questions to ensure you understand the material. 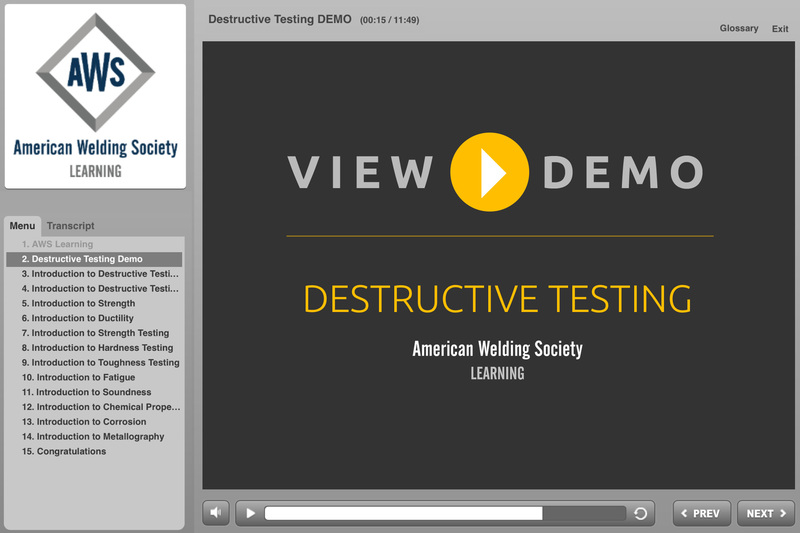 The AWS online Destructive Testing course is ideal for both students and welding professionals involved in inspection, supervision, or quality control. Yes. Upon completion of the final course module, participants are prompted to take an exam designed to evaluate their comprehension of the subject matter. The completion exam consists of 50 multiple-choice questions and must be completed within a 90-minute period. Participants who do not attain the 75% passing score may attempt to retake the exam a second time. Participants who attain a score of 75% or more on the completion exam earn an AWS Certificate of Completion and 10 Professional Development Hours (PDHs). The AWS Certificate of Completion can be downloaded and printed directly from the webpage. Yes. Participants that receive a score of 75% or above on the Completion Exam will receive an AWS Certificate of Completion and 10 Professional Development Hours (PDHs). Yes. Professional Development Hours (PDHs) earned through AWS online courses can be applied towards recertification provided the PDHs are earned during the certification period. Yes. Participants that receive a score of 75% or above on the Completion Exam will receive an AWS Certificate of Completion and 1 IACET Continuing Education Unit (CEU). Yes. The Certified Welding Inspector Fundamentals Exam (Part A) contains questions concerning the topics covered in this seminar. This course is designed to help prepare participants for this section of the exam.